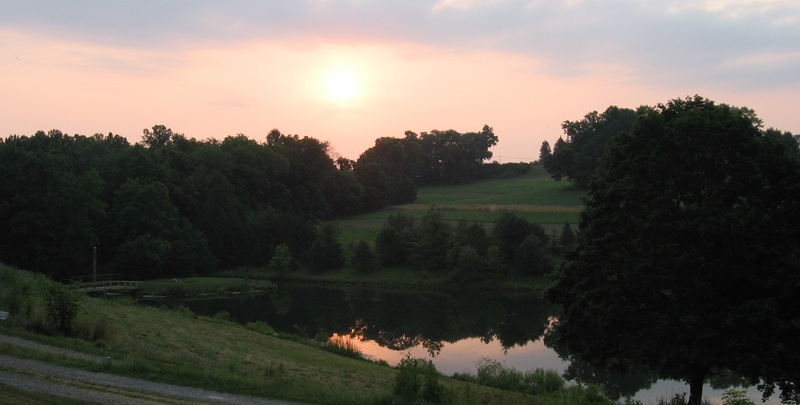 The annual Quakers in Pastoral Care and Counseling gathering, held at Quaker Hill Conference Center in Richmond, Indiana, provides a wonderful respite year after year for people who nurture the spiritual lives of others, including chaplains, pastors, spiritual directors, and elders. This year’s gathering challenged many of us. Entitled, “Sailing in Shifting Seas: Continuing our Work when our Faith and World Change,” it featured talks by Philip Gulley and James Mulholland, who have been friends for decades. Supporting and challenging each other to grow in their faith has been key to their friendship. Early in their friendship, Gulley helped Jim Mulholland leave behind limiting religious concepts with which he had been raised, including some notions about hell. Seeking a truer faith, Mulholland outgrew one denomination, and later another. Eventually, like Gulley, he became a pastor of a Midwestern Quaker Meeting. Together they wrote two powerful books: If Grace is True and If God is Love. Those books caused controversy among some theologically conservative Friends. Gulley and Mulholland had promised their publisher a third book in the series, but Mulholland found himself unable to continue. His faith had changed so much that he no longer knew if he believed in God. He decided he was no longer a Quaker and gave up his job as pastor. At this year’s QPCC conference, he framed his story as a long process of evolving in his beliefs. While searching for help to make his transition out of church, he was unable to find many books to give him support. So he wrote one of his own. In effect, he has become a kind of pastor to agnostics or atheists leaving the church. As you might imagine, at a gathering for people who nurture the spiritual lives of others, many of us present were uncomfortable with Mulholland’s suggestion that agnosticism (or atheism) is a more mature spiritual stance than faith in God. However, some in the room found themselves freed to admit that they, too, are growing out of the faith they have previously embraced. Mulholland suggested that those of us who give spiritual support to others ought to be able not only to listen to those who are struggling with their faith, but to actually celebrate when people explore their doubts. He gave us a list of nine reasons why people leave religion. Many have to do with various life experiences that cause a re-examination of previously held beliefs. Other reasons are reactions to religious systems that are coercive, stifling, abusive, hypocritical, or used for political power. Mulholland stated that his primary reason for leaving religion, however, was curiosity. What would open up in his life without a concept of God? When questioned, he allowed that he still believes in a Ground of All Being, and in Goodness. He could call those things God, he said, but since most people mean something else by that word, for him it is a matter of integrity not to claim a faith in God. He asked us to remember what we believed about God and the purpose of life at various stages in our life: when we were fifteen, thirty, and now. This helped each of us to see the evolution of our faith. Friends shared how their faith has changed over their lifetime. I remembered that when I was in college I, too, left the church of my upbringing. At eighteen I became an agnostic, uncertain that God existed. I thought at the time that leaving the church was the end of my religious and spiritual life. In the years that followed, however, I realized I now had to discover for myself the nature of reality. I searched for direct understanding, for experiential knowing. After I began to search whole-heartedly, I opened up to experiences–direct glimpses–of the consciousness, the Light, the energy, the Truth, the healing Power, the Reality which gives life to everything. Others present at the conference described similar defining moments in their faith life. For some, the transforming event was an experience of unconditional divine Love. Those present who had tasted direct experience of God or Christ, now have a faith based not primarily on belief, the behavior of others, or outward religious systems, but on knowledge of a reality bigger than any human concepts. It took some of us years before we could call that reality “God” because it is so much bigger than the images of God received in childhood. At the beginning of Quakerism, something like this happened for those who became the first Friends. They asked questions of the churches in which they had been raised. They noticed a difference between what was preached and how their pastors and fellow churchgoers acted. They longed for something more than religious rituals or scholarly sermons. They left their first church for another more open to their spiritual questions. They kept growing and were not satisfied merely with new beliefs or practices. Although they did not abandon the concept of God, many of them felt completely disconnected from God and Christ. Some stopped attending church altogether. They kept searching, looking within, or they simply waited for divine action. Finally, those who became the first Quakers tasted a direct experience of divine reality. For many, that experience was a Presence they felt in gathered experiences of worship with others. Some recognized an inner voice that guided them toward a new kind of life, one infused by Light, Truth, and Love. After opening to this direct experience and inward relationship, they, too, used many different words, in addition to “God” and “Christ.” Their spiritual experience had become so much more powerful and nuanced than the limited concepts of God and Jesus which were common currency in their culture. Evolving Faith: What doubts and questions are important as you wrestle with your religion or faith? Have you shed old limited concepts of God or Christ for more expansive ones? Have you glimpsed or directly experienced spiritual reality? If so, what is your relationship with that? What do you call it? How do keep connected to it? What does it ask of you? What are the important questions for you now? For more information, see Upcoming Workshops. This entry was posted in Learning from Early Friends, Quaker Faith Today, Radical Christianity and tagged agnotics, athiest, concepts of God, direct experience, evolving faith, James Mulholland, leaving the church, mature faith, nurturing faith, Philip Gulley, QPCC, Quakers in Pastoral Care and Counseling, spiritual reality, wrestling with faith. Bookmark the permalink. Thank you, Marcelle….. thought-provoking and educational, as always. Very nicely stated. It is always helpful for me to hear how I’m heard. My only discomfort was that you heard me suggesting my atheism is “more mature.” I didn’t mean to communicate that since that is not what I think. I would say my present beliefs are authentic for me; not more mature than others. But, since you heard otherwise, I’ll keep working on that message. Thank you, Jim, for reading and commenting on this blog post, and for clarifying what you meant to communicate. Perhaps I heard or remembered incorrectly?